The pages of the She is Relentless journal are filled with insightful, provocative questions to help women think about who they are, where they are in their lives and what they want MORE of moving forward. The questions and quotes that fill the 164 pages are often a part of my powerful retreat in Hawaii. If you can’t join me on-the-beach this year, but would like to work on your goals and plans, this journal can help you. 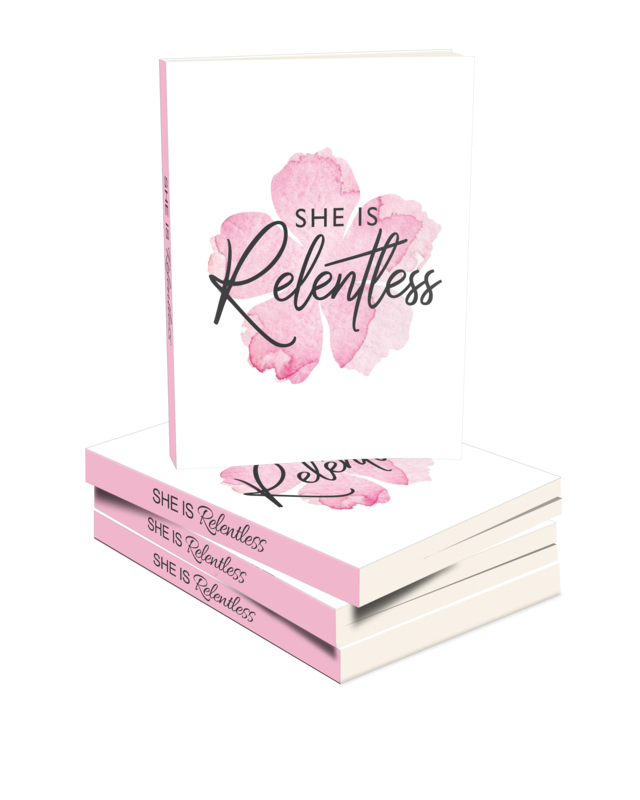 You can use the questions in this journal alone or along with the discussions on the She is Relentless Podcast, to help you navigate and access your own, powerful wisdom! Use this journal for your own reflections on your own, with your team or as part of a coaching or discussion group.